“The mayor is pitting minority against minority and that’s really messed up,” said Kenneth Chiu, president of the New York City Asian-American Democratic Club, reports the New York Post. De Blasio announced Saturday his plan to increase enrollment of blacks and Latinos in the city’s eight elite high schools. 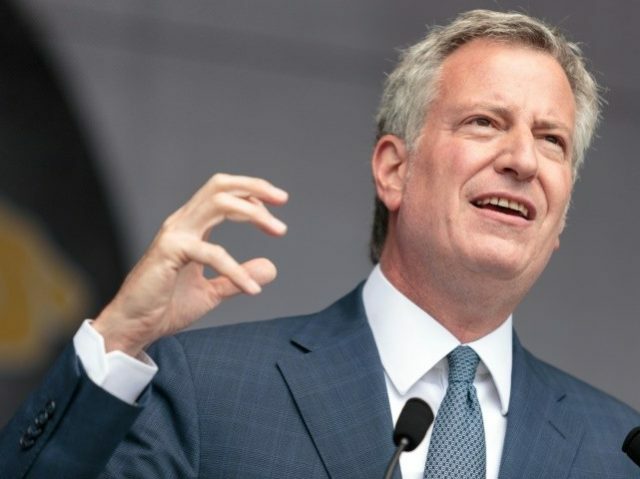 In an op-ed at Chalkbeat, the mayor said he will “fix” the “diversity problem” at the specialized schools by setting aside 20 percent of seats at the school to black and Latino students, many of whom, he said, cannot afford test preparation courses and materials. “If we want this to be the fairest big city in America, we need to scrap the SHSAT [Specialized High School Admissions Test] and start over,” de Blasio wrote, adding his plan includes new admissions criteria based on middle-school class rank and state test scores. The proposal is anticipated to allow about 45 percent of students in the city’s top schools to be black or Latino. “With these reforms, we expect our premier public high schools to start looking like New York City,” the mayor wrote. Currently, Asian-American students predominate at the city’s top schools, representing between 61 and 74 percent of enrollment at Stuyvesant, Brooklyn Tech and the Bronx High School of Science, reports the Post. At Queens High School for Science at York College, 82 percent of students are Asian-American. De Blasio attacked those who claim his plan would undermine the high standards of academics at the elite schools. Other critics of de Blasio’s plan said it encouraged the narrative that blacks and Latinos are not capable of succeeding without government giving them a special privilege. According to the Post, 60 percent of students currently enrolled in three of the elite schools are eligible for free or reduced-price lunches.